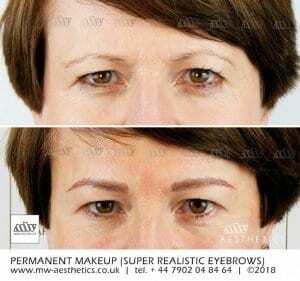 A competent, experienced and enthusiastic permanent makeup and aesthetics specialist. Qualified in eyebrow tattooing, permanent makeup of the lips and eyeliner, scalp micropigmentation for hair loss, 3d breast areola reconstruction, mesotherapy skin rejuvenation, laser tattoo removal, laser permanent makeup removal and laser pigmentation removal. Before his permanent makeup career, for more than six years, Marek was the Business Development Manager at the London School of Beauty and Makeup, one of the biggest and most prestigious private beauty schools in Europe, under the umbrella of the inimitable Urban Retreat in Harrods. Marek has also provided support for a number of permanent makeup masterclasses in the UK, supporting many of the established practitioners whose names you probably already know. Through this, Marek has met and networked with many international permanent make-up masters and trainers, bringing a wealth of experience and expertise to the permanent makeup industry as he has over his career.